The Israeli army accidentally revealed the existence of a previously unacknowledged airbase through its official website, hastily removing all references when the exposure was pounced upon by the media. The incident highlights the secrecy at the core of Israel's military strategy. Officially, the Israel Air Force operates 10 major airbases under the ultimate leadership of Commander Maj. Gen. Amir Eshel — notable examples include Ramat David in the north, and the Uvda airbase near Eilat. ​However, military documents released in early July via the IDF's official website in accordance with Israel's Freedom of Information Law acknowledged the existence of another for the very first time. The document describes the structure of the air force corps and its divisions, listing the names of all the bases and their respective commanders' names. The mysterious eleventh base — commanded by a "Colonel Binyamin" — is called Sdot Ha'ela. The IAF's official website map of all the force's airbases doesn't acknowledge the existence of the base, let alone where it is located. In a sense, that Israel — a regional superpower in military terms, a major arms exporter and one of the world's key military innovation hubs — should maintain a covert airbase isn't so surprising. All the world's major military spenders have a panoply of army installations on their own soil and elsewhere, some top secret, some not so secret. However, Israel's military is perhaps more shrouded in secrecy than that of any other country. 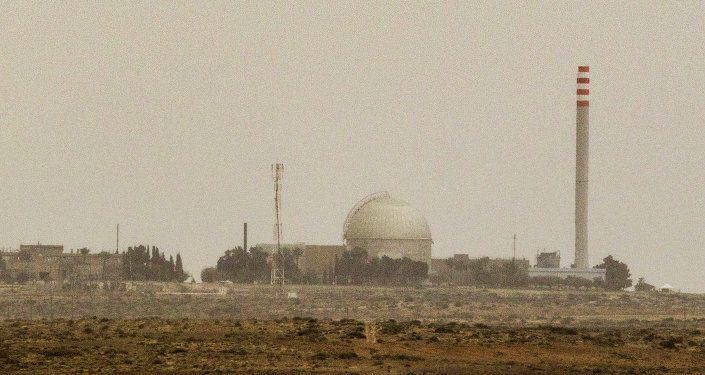 Ironically, Israel's biggest military secret is perhaps the world's worst kept — since the 1970s, if not before, Israel has informally possessed a nuclear deterrent. While its existence isn't remotely doubtful — and, bizarrely, ongoing debates over whether to publicly acknowledge its existence are openly conducted in mainstream Israeli discourse — the country has a policy of failing to confirm, and even occasionally denying, it maintains nuclear weapons. The German-made INS Rahav, the fifth Israeli Navy submarine, arrives at the military port of Haifa on January 12, 2016. In September 2015, Israel received delivery of the fourth Dolphin 2 class submarines from Germany. A third of the cost was funded by Germany as part of its military aid to Israel. 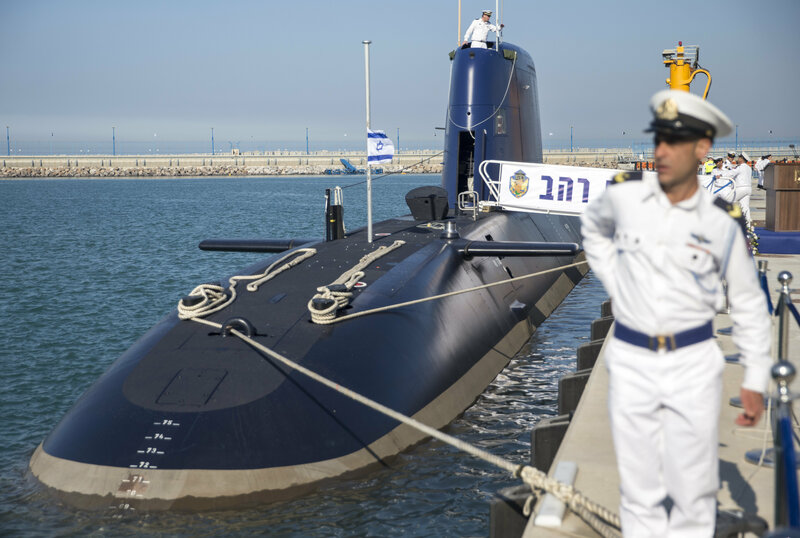 The submarines, the most sophisticated in Israel's fleet, can be equipped with missiles armed with nuclear warheads. Israel's failure to acknowledge its possession of nuclear weapons stems from their illegality — and indeed the legal obligations many of the country's key allies have to respond to illegally-held nuclear arsenals via diplomatic, political and even military means, that stem from various nuclear treaties. What is known is Israel started research into nuclear weapons in the late 1940s. At the time, many analysts expected the wide proliferation of nuclear weapons technology across the world, and as a state under effective siege a nuclear deterrent was viewed as a potentially permanent lifeline. The development was assisted by France, the UK and US. Israel probably constructed its first nuclear device in 1966, with an arsenal of usable weapons available a few years later. The first delivery systems were fighter-bombers, supplemented before long by ballistic missiles. Information on the program was leaked to the world's media by Mordechai Vanunu, who worked on the project. Vanunu suffered greatly for his whistleblowing — after selling his story to mainstream publications, he was lured to Rome by Mossad agent Cheryl Bentov in a honey trap operation, overpowered and drugged by three waiting Mossad agents, before being dispatched to Israel. Vanunu served most of his sentence in solitary confinement, and was released April 2004. He remains subject to a number of prohibitions, including not contacting foreigners, owning a mobile phone or ever leaving Israel. He has been imprisoned on several occasions subsequent for breaching these conditions. Israeli nuclear whistleblower Mordechai Vanunu, center, sits between two prison guards as he waits in a courtroom before a hearing in Jerusalem in 2009. However, information has also flowed from more contemporary sources. The 2017 Stockholm International Peace Research Institute (SIPRI) report on trends in nuclear warfare estimates Tel Aviv has access to around 80 warheads, of which around 30 are gravity bombs for delivery by aircraft, and 50 weapons are made for delivery by Jericho II medium-range ballistic missiles, believed to be located along with mobile launchers in caves at a military base east of Jerusalem. Moreover, Germany is known to have supplied a sextet of Dolphin class diesel-electric submarines to Israel in 2016, which can be equipped with nuclear missiles.